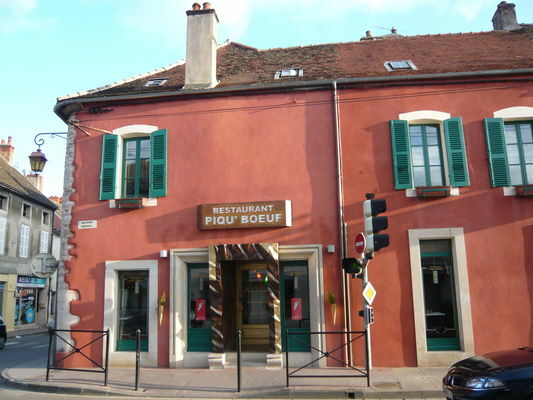 In the town centre, close to the Place Madeleine car park, a restaurant with warm, contemporary décor in a house built in the 13th century. The menu has developed nicely with the arrival in the kitchen of son Damien. 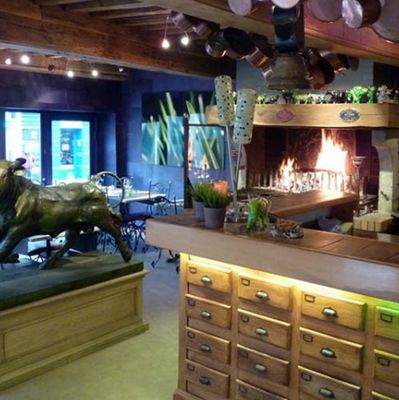 Favouring short courses, at the Piqu'Boeuf you can always enjoy Charolais beef from a local Burgundy breeder, grilled before your eyes over a wood fire in a huge fireplace (in summer: gas grill from June to August), along with fine cuisine based on fresh products. New dishes added to the slate are simmered with seasonal local produce. You'll also appreciate the fine wine list from a range of producers (150 references). 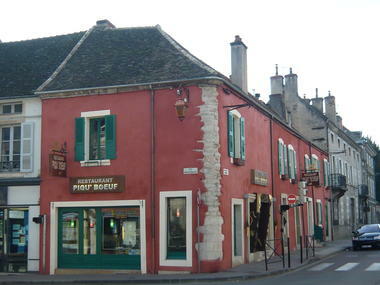 Upstairs, the three rooms can be hired for private use. Service until 22.00.